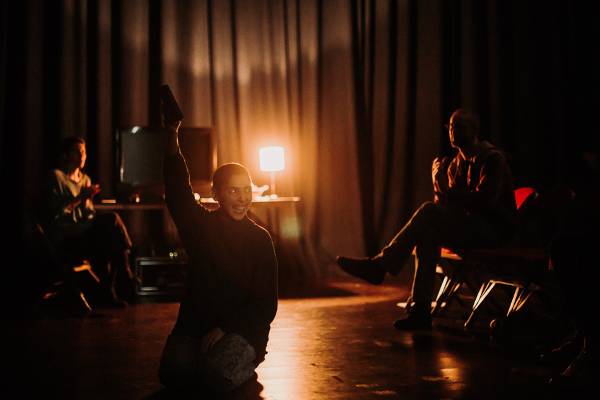 "I just didn’t know how it would go until I had this experience"
Ania Varez is one of four Bristol based artists who are developing exciting new work in collaboration with communities at Trinity over six months as part of our IGNiTE theatre and dance programme. 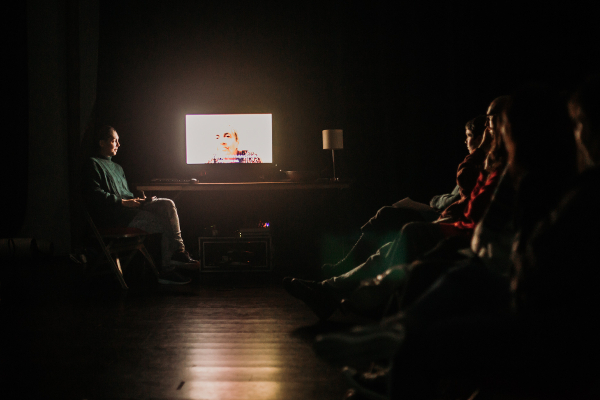 During her residency Ania is developing ‘Guayabo’ a participatory work that invites people to gather around their pain and the pain of others and is heavily influenced by Ania’s move from Venezuela to leave her country’s violent dictatorship. The crisis is rarely mentioned in mainstream media and Ania has been using her art to share her and her family’s experiences with others. Ania recently took ‘Guaybo’ to Spill Festival, an international festival of contemporary arts and activism in Ipswich. We asked her to tell us the four things she learnt while she was there. Guayabo is a very challenging piece to share for different reasons. Mostly, because it requires placing myself in a very vulnerable state, my family is also exposed through the videos and texts I read, and the topic is extremely painful and difficult on its own. I was concerned that those who came to experience the work might not have the capacity to offer the mental and emotional investment this piece requires due to the festival environment which is overwhelming with people quickly moving from one performance to another. I also felt the audience needed more time to process the difficult information that Guayabo conveys, whilst in a safe environment, before leaving the room and returning to a conventional social mode. Towards the end of the work, I invite people to stay in the room for as long as they need and to chat with me if they wish, but since people had to rush to another show, most of them could not have that time, which felt important in terms of caring for themselves and for me. To know this for future sharings is really positive! I will think about what needs to change inside the work to ensure people receive the care they need. However, the context is also important. I’m sure SPILL would have made a bigger effort to ensure these things happened if I had spoken about them beforehand, but I just didn’t know how it would go until I had this experience. Maybe arts festivals are not the right context for Guayabo, or maybe it just needs some programming adjustments (have more time altogether, organising a meal to share right after, for example) would really help to overcome these difficulties. Whilst being at SPILL I slightly regretted not having the time to see other works and meet many people. Sharing this piece took all of my time and energy and I didn’t have the space to experience much more. In hindsight, I notice that I naturally felt more inclined to encounter people outside of the performance settings (at breakfast, or in the artists green room) in a more relaxed and meaningful way, and most of the time we didn’t even talk about our work which I enjoyed much more. Before arriving to SPILL, I was quite worried that everyone around me would be trying to constantly pitch their work at each other, but I was glad to discover that most people seemed to agree that having a good time and laughing together was more important. I had severe technical difficulties during my first show and right until the beginning of my second show. This uncertainty added pressure to sharing such personal work, which massively compromised my mental health during the performance days. Having my producer, Katherine Hall, with me during the first two days really kept me safe and capable of getting through the difficulties, as she took care of many things and allowed me to concentrate on the work. Sadly, she could not stay for the last two days and that would have really affected me if it wasn’t for Shabnam Shabazi (the Wellbeing Liaison of the festival) and Manon Santi (part of the SPILL team) who were there to support me. They gave such gentle and caring attention to me and to the work: this meant I could present the work without having a breakdown or feeling like I was delivering it on my own. SPILL felt like an incredible opportunity for me as an artist and a person. It’s the biggest platform I have ever shared work on. But I didn’t want it to feel like the ultimate platform, or the culmination of this long process. I wanted it to feel like another island I stumble upon in the middle of this long trip. A place to pass by, gather things that felt valuable, meet great people and then continue on the journey. Almost one month after the festival, I see this opportunity has brought a few open doors, some new friends and a lot of learning. I enjoy holding on to this feeling of continuation, this long process that exists independently of the platforms that I visit, but continues to be nourished by them. I am looking forward to continuing my research at Trinity Centre next year. Read more about our IGNiTE programme and artist in residence just here.